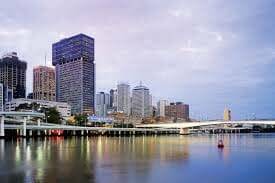 With our extensive knowledge of customs clearance and documentation requirements our Brisbane customs clearance brokers, Agents we will help expedite the customs clearance & delivery of your shipment, avoiding costly and inconvenient delays. All our customs clearance brokerage systems are electronically linked to the Australian Customs and Quarantine service and other government departments - allowing us access to clearance duty rates, duty concessions and other information traditionally stored in numerous volumes of paper binders within an instant. When combined with global end-to-end logistics capability means we can arrange the trans-shipment or local delivery of your customs cleared goods through our integrated Australia wide network. Whether you are an importer or exporter, an organisation needing a reliable and efficient international supply chain solution, or you simply want to make sure a piece of equipment is delivered as quickly as possible, we will take care of the customs clearance requirements. We have been providing unparalleled customs clearance brokerage agency services. This has been our specialty since 1982.